The key onboard systems which keep JENAL fully operational are her heart and arteries. click on each picture for detailed info. The key element of any boat or ship is its engine, in JENAL's instance, 2 engines. We chose a pair of Volvo-Penta's D3-110 diesel engines, hydraulically coupled to drive the DuoDrive shaft with counter rotating props. Another one of JENAL's less than normal (for a barge) applications is the Duodrive system. Counter rotating props to maximise on the energy used and make her easier to navigate. You would think, a rudder is a rudder, yes? Well yes and no. If you really want to become a 'rudder anorak' you will find there are many designs for an amazing amount of benefits. Find out more. 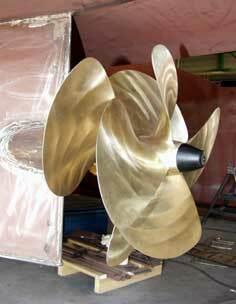 The choice of bowthruster is unusual due to it being of the 'Archimedes Screw' type rather than the conventional single or twin propeller propulsion. These screw types are made by ARS in Wakefield (UK) who realised that space (packaging) is important in all boat layouts. Unfortunately these proved not to be powerful enough for this 75 ton Dutch Klipper so ARS supplied 2 x 23hp twin propeller types which were much better. The steering system is self-contained hydraulics by Hydrosta. They are supplying their twin ram system which eliminates the biased strain a single ram system generates on the steering shaft. The Hydrosta hydraulic drive system is an amazing piece of kit because it automatically compensates for one, both or alternate engines driving the prop. Find out more. 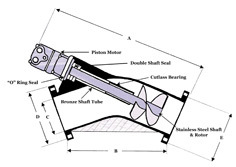 Bilges are usually a place in boats that most people avoid but we rather like JENAL's because Cleghorn Waring have design them to be a dry and clean place. Cleghorn Waring have designed the complete fluid handling systems on JENAL using their range of Jabsco and Rule pumps plus the Hep20 plastic pipe system. Navman navigation equipment has been our quality choice simply because it is easy to use and integrates with our systems including the Hydrosta hydraulic steering. JENAL is a home and located on water, as we know, water is cold. Therefore, not an ideal medium for living amongst and making a comfortable home in? 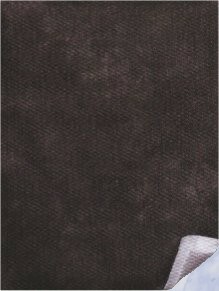 3M Thinsulate to the rescue and what a great rescue. Webasto Air-Conditioning has many advantages for JENAL, the ability to alter her internal temperature from 18-32 degrees C, the simplicity of installation and a reduction in duplicated equipment. 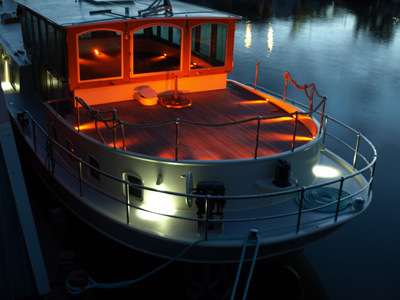 Energy Solutions specialise in electrical power and panel building for marine, vehicle and industrial applications. Kinetico water treatment systems serve JENAL. Their water softener is a constant flow system and uses no electrical power to operate it. Their drinking water system can cope with water from anywhere, which is useful. UFO (Universal Fibre Optics) are a British company based on the Scottish boarders in Berwickshire. They are the UK's only manufacturer of raw fibre for fibre optic lighting and a major world manufacturer of complete systems and components. 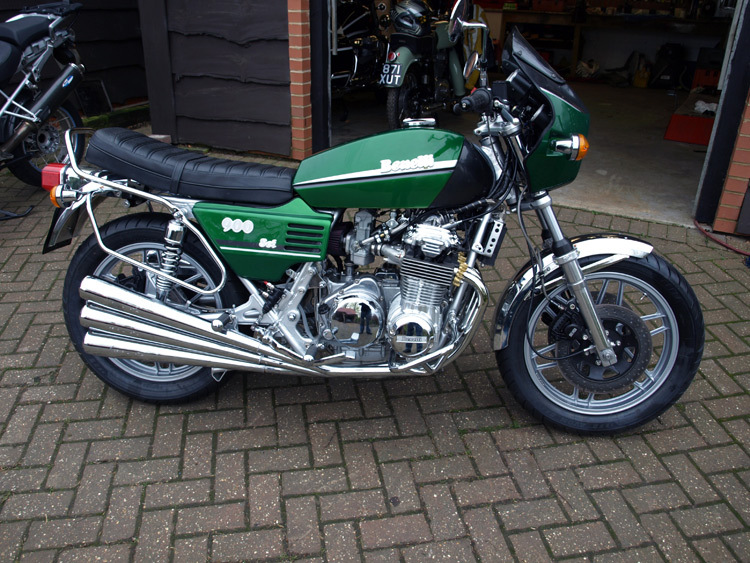 The land transport is by Benelli 900 Sei rebuilt and developed by Alan. Andrew Varah Cabinet Makers are based in Warwickshire (England) and commissioned to design and manufacture JENAL's cabinetry. Andrew & Tim have produced some excellent, stylish and fitting designs.